$350 off per person on Economy, $400 off per person on Premium Economy, or $450 off per person on Business Class. per person on Economy, $400 off per person on Premium Economy, or $450 off per person on Business Class. 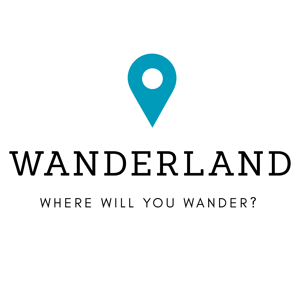 Don't forget to claim your BONUS AMEX gift card with our WANDERLAND offer! Find more information for how to claim this COMBINABLE offer here! Please work with your travel advisor to put together your itinerary by submitting a TRIP REQUEST. • Exclusive VIP Experiences- from meeting extraordinary people to visiting iconic sites when not open to the public, guests can do what’s near impossible to the independent traveler. • Exceptional Dining- from critically acclaimed restaurants to local, home-hosted meals, our range of dining options offers a diversity of truly memorable ways to dine. • Luxury & Relaxation- the finest properties with impeccable service and luxurious surroundings, where guests can unwind and soak up the exceptional comfort. • The Traveling Concierge- goes the extra mile to truly tailor the journey to guests’ individual preferences. • Small Group Journeys- a worldwide collection of trips with small groups for even more personalized service. • The Chairman’s Collection- handpicked by our Chairman, Mr. Stanley Tollman, our most exclusive VIP experiences offer a rare opportunity to meet iconic local legends. • Sustainable Travel- Powered by TreadRight, Luxury Gold Cares means our guests travel with purpose. TTC’s TreadRight Foundation safeguards the people, planet and wildlife in the places we visit so they can be enjoyed by generations to come. Once you've planned your trip, protect your vacation dollars and travel experience with travel insurance from Travel Insured International trip protection plans and/or MedjetAssist. For more than 20 years, Travel Insured International has led with a passion that is based on a “do it better, do it smarter” mentality. They take pride in their mission, which built upon trust, innovation, and treating each and every customer like they are part of the family. As a principal provider of travel insurance, Travel Insured International helps our customers find solutions to any travel-related problem. As a leading travel insurance provider, their goal is to help each individual travel confidently. They aim to keep their customers informed every step of the way, and most importantly to be there to help when things go wrong. Whether it's business related, a long awaited cruise vacation, or a trip back home to see family and friends, traveling with a protection plan helps you relax and enjoy your travel experience to the fullest. CLICK HERE to buy Travel Insured International Travel Insurance online now or talk to one of our travel advisors about adding Travel Insured International Travel Insurance to your vacation! MedjetAssist is the premier global air-medical transport membership program in the U.S. As a member, if you are hospitalized more than 150 miles from home, MedjetAssist will arrange comprehensive medical transportation to the hospital of your choice, not just the nearest adequate facility. Peace of mind every time you travel! Domestic air-medical transports average $25,000 and internationally, it can exceed $100,000 but not with the protection of MedjetAssist. Annual memberships are only $260 for an individual or $395 for a family, and Short-Term memberships start as low as $99. Multi-year, Corporate and Group memberships are also available. Air-Medical transport is to the member's hospital of choice, including home hospital. No "medical necessity" - Neither the attending physician nor the capability of the existing facility determines the merit of a transport. No health questions for those under the age of 75. Diamond applications are available for individuals ages 75 to 85. Applications must be approved prior to departure. For individuals age 85 and up, Platinum memberships are available. This program is available to AARP members only and protects the member while they travel internationally. A Platinum membership application is required and must be approved prior to departure. No adventure travel exclusions; No natural disaster exclusions; No terrorism exclusions. No dollar limits on evacuations; No deductibles; No co-pays; No claim forms. Domestic as well as international protection. Q: What would happen if you became hospitalized because of illness or injury during your next trip? How would you manage getting back to your home hospital or another hospital of your choice… close to your family, trusted physicians, and in-network insurance? A: With Medjet it would be easy because you would have the peace of mind knowing you have an unsurpassed team of professionals that would arrange for an air-medical transport back to the hospital of your choice, regardless of medical necessity. All you pay is your membership fee for this comprehensive protection. Airways, American Airlines, Iberia and Finnair) to Europe, Egypt, Morocco and Mediterranean journeys. Applicable for travel April 1-December 31, 2019. The air savings levels are: $350 per person on Economy, $400 per person on Premium Economy and $450 per person on Business Class. If the airfare (not including taxes and surcharges) is less than the amount of the discount being advertised, the maximum discount will be up to the airfare amount. Air offers are not combinable with other air offers, Early Payment Discount, Last Minute Deals, or exclusive partner offers. Air offers are combinable with other year-round savings. Only applicable to live air available for purchase at time of booking. Offers: based on availability, do not apply to all trips/departures, and may be withdrawn at any time and without notice. CST No. 20687545-20.